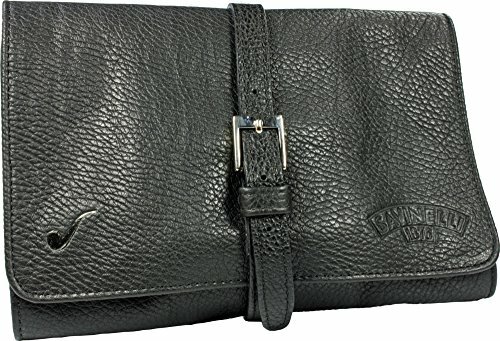 SAVINELLI BLACK ROLLBAG COWHIDE LEATHER 4 PIPE BAG MADE IN ITALY "High quality rollbag made from cowhide leather. Inside soft leather. With many functional compartments."